Over 20,000 eye injuries occur on the job every year, the Bureau of Labor Statistics estimates, costing hundreds of millions of dollars in lost productivity and medical treatment costs. While the financial costs are bad enough to contemplate, what is even worse is the risk to the worker of losing sight in one or both eyes. The good news is that eye injuries in the workplace are preventable. This prevention requires a well-thought out plan, investments in training and equipment, and constant vigilance. Let’s look at each of these areas in more detail. How many times have you been doing something at home, like mowing, trimming or sawing, and realized you should have eye protection in place? And how many times have you continued working without eye protection, because it was inconvenient, too hot for the extra protection, or too far to walk to go get the glasses? If this thought process can prevail at home, imagine the same scenario playing out at work. That’s why one of the first steps you should take is a thorough evaluation of the hazards of every job in the workplace, and doing what can be done to mitigate them. Don’t leave it up to the individual employee to determine if he or she needs safety equipment or not; each job process description should spell out whether eye protection or other personal protective equipment (PPE) is required. Then ensure that the rules are followed. If the job has not yet been evaluated, or it is something out of the ordinary, do a job hazard analysis (JHA) before starting. With your safety manager, or senior employees involved, talk through the job actions, and identify what PPE or safety eyewear is required. If you expect the job to occur again in the future, document the JHA for the next time. Now it’s time to look for ways to eliminate or minimize the hazard. 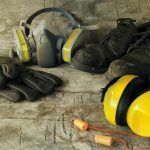 If all your pre-planning and engineering controls still require the use of eye protection, make sure of two things – that it is the right eye protection for the job, and that the eye protection is in excellent condition for use. 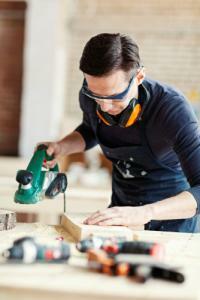 Carefully following these steps will help you prevent eye injuries in the workplace. But most important of all is awareness. 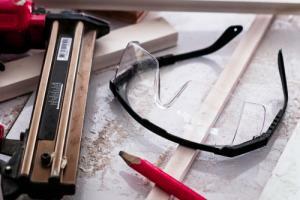 Make sure safety and toolbox meetings with your employees address eye protection, both on the job or at home. Warnings and signs pointing out where eye protection is required will also help improve awareness. Employees must hold themselves accountable, and be held accountable, to protecting their eyesight on the job. Vision is too precious to lose. 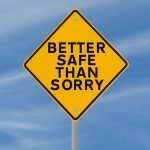 For more on safety prevention tips and how you can your workplace safer for all, contact us today. Adavnced Consulting & Training are the leaders in safety training in Ontario, and have helped countless organizations bolster their safety awareness and prevention tactics.